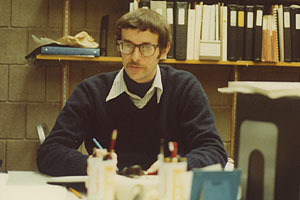 Furthering Colonel Bill Whitaker's goal of developing a common language for the Department of Defense, David A. Fisher solicited requirements for such a language from across the DoD services. 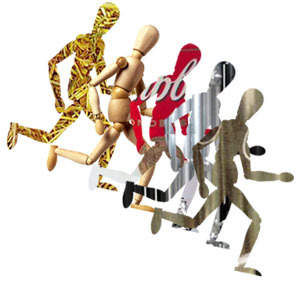 His first attempt at summarizing those inputs was called the Strawman. Each successive requirements document reflected the growing consensus of what the eventual language (originally dubbed "DoD-1") needed to be. At the end of this phase of the competition, two languages were chosen to be refined and completed in the next phase - Red and Green. 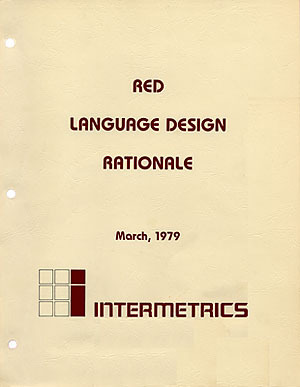 Rather than simply refining their first effort, called REDL, Intermetrics chose to use the last phase for a radical redesign, resulting in an entirely new language, RED. 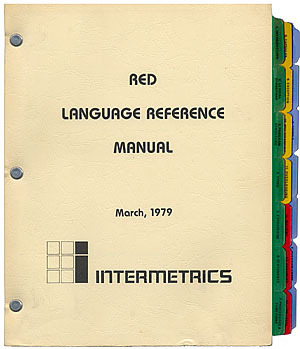 When the Green language was chosen as the winning language, Intermetrics supported the common language effort and both Red languages disappeared. On this 30th anniversary of the runoff contest, it seems appropriate to allow RED its place in language history. 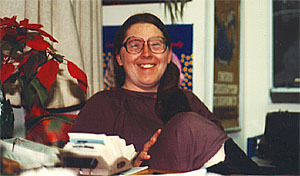 While the language was designed by a large group of people at Intermetrics, the reference book was written by John Nestor and Mary Van Deusen. Deliverables in the contest included a language reference manual, a rationale to explain design decisions, and a translator. Intermetrics did complete a working translator for this language, a brilliant example of working in a constantly changing environment, led by Mark Davis. Unfortunately for Intermetrics, the contract terms dictated that the translator would not be used as a factor in the language selection, so the translator's main usage was as an internal prototype operational definition for Red. The Rationale document, written by the project manager, Ben Brosgol, was delivered with the Reference Manual, and provides fascinating insights into the issues involved with creating a new language. 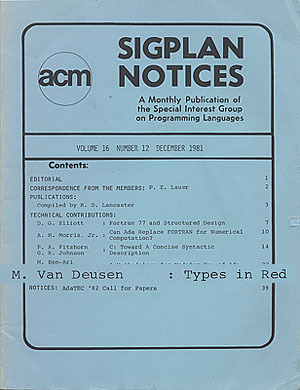 Although the Reference Manual and Rationale documents were not publicly available after the end of the contest, a paper written by Mary Van Deusen was later published in Sigplan Notices describing the RED type system. 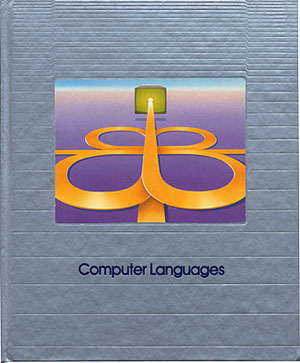 Time/Life, in their series on Understanding Computers, provided a broad view of the language field in their book, Computer Languages. The book included a section on the DoD-1 contest, with descriptions of the roles of Colonel Bill Whitaker and David Fisher. One of the consultants to this book was Mary Van Deusen. There are always events in your life that stand out as you look back over the years. For all of us who participated in the DoD-1 contest, the drama of those days will always be one of those events.